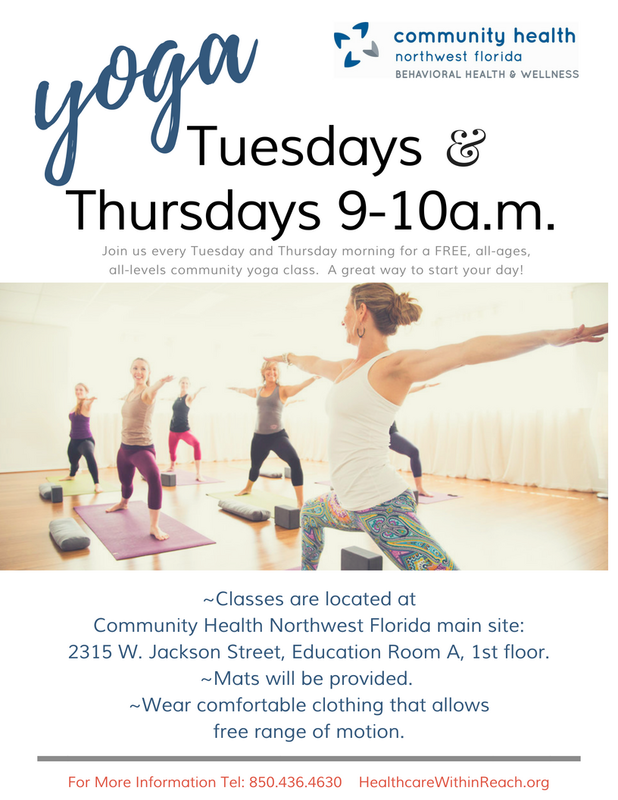 Community Health Northwest Florida’s Behavioral Health Department presents “Yoga Within Reach”, a FREE, one hour community Yoga class being offered on Tuesday and Thursday mornings. Whether you’re a beginner or have been practicing for years, this class is designed for all levels, all ages. You will leave feeling loose, relaxed and more aware of what’s happening with your body, mind and spirit. Check out the flyer for additional details.